The SB-500 AF Speedlight is also a versatile video light especially well suited for recording interviews up close. It has a built-in high-intensity LED light (approx. 100 lux) that provides steady, uniform daylight-balanced illumination. It can be used at three output levels—quarter, half or full power—making it practical for low-light video shooting and close up still photography. 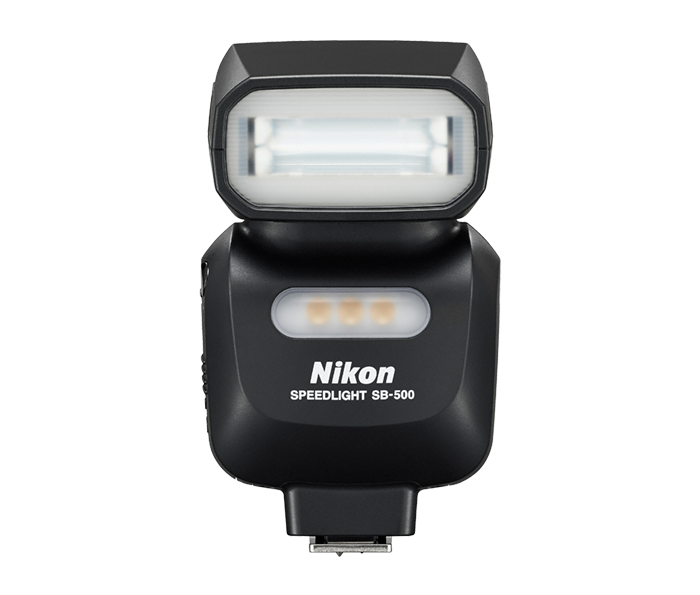 And when used with the D810 or D750, the SB-500 AF Speedlight communicates LED colour information (along with that of the flash) to the camera for optimal white balance.